Moms, there are so many wonderful things we could (and should) pray for our kids. But nothing compares to praying for their salvation. And, since “the prayer of a righteous person has great power as it is working (James 5:16),” we mamas have some WORK to do! Our kids are too young to even know what their greatest need is. We need to cry out to God on their behalf. “God, save my child.” No matter how beautiful this request is, I can only pray it so many times before it starts to become rote. 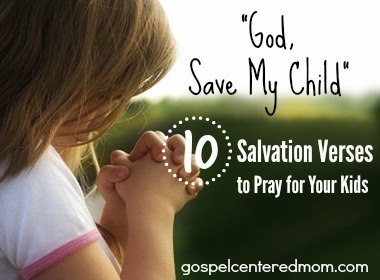 I’ve compiled a list of 10 “Salvation Verses” to pray over my kids to keep my mind and heart engaged in what I am praying for. I love using scripture in my prayers because I’m literally praying God’s own words back to Him. So here’s a 10 day prayer challenge. I’ll take the challenge with you: Take a verse each day for 10 days and pray it back to God, inserting your child’s name. If you have a few kids, insert each child’s name separately. Chew on the picture of salvation each passage presents. Let the illustrations sink into your heart. And then – tell your kids what you are praying for them! I hope these passages encourage your heart and give you fresh passion for praying for your kids’ salvation. Looking for a gospel-centered Bible study written specifically for busy moms? 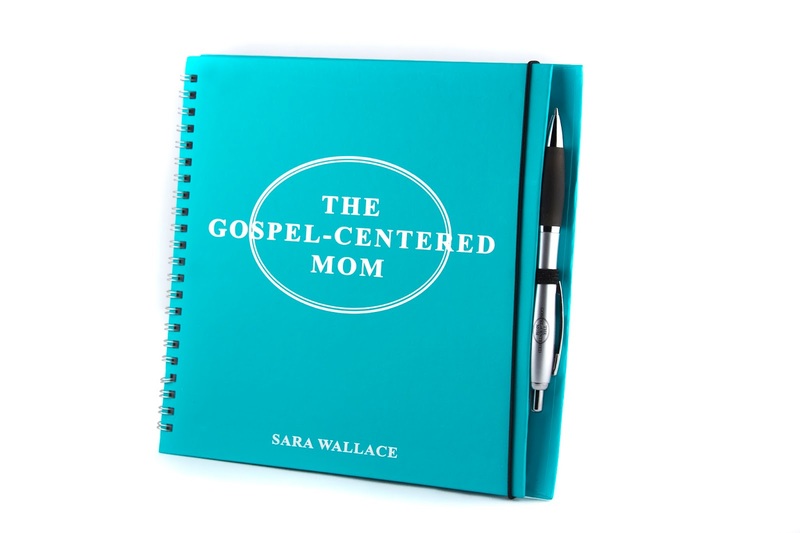 Check out “The Gospel-Centered Mom,” now available on Etsy!